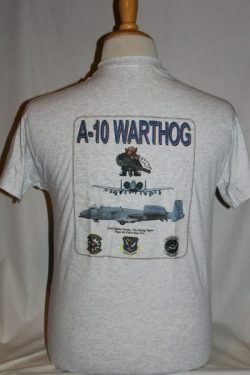 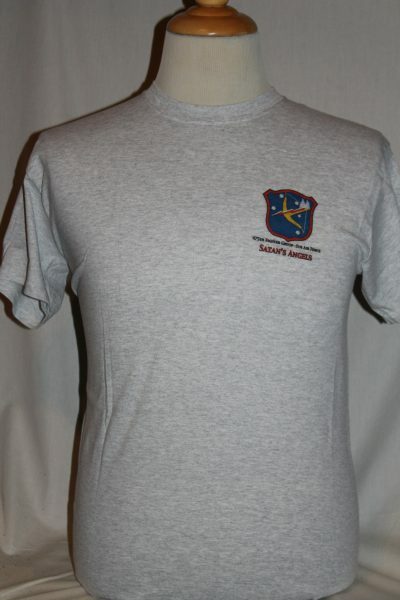 THE "A10 Warthog" shirt is a two sided print in the color grey. 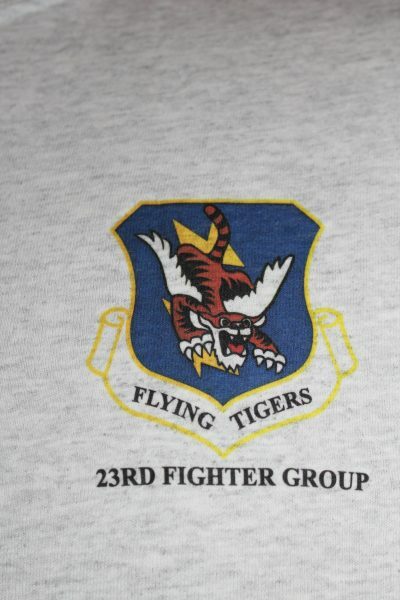 Front Design: 23rd Fighter Group Flying Tigers symbol. 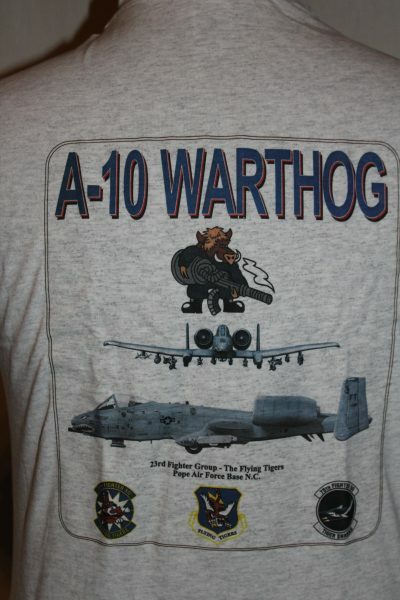 Back Design: Front and side view of the A10 Warthog, with fighter squadron symbols, and text.